Unconditional free shipping is a number 1 criterion for making a purchase online. Orders with free shipping average around 30% higher in value. 47% of shoppers indicated they would abandon a purchase if they got to checkout and found out free shipping wasn’t included. 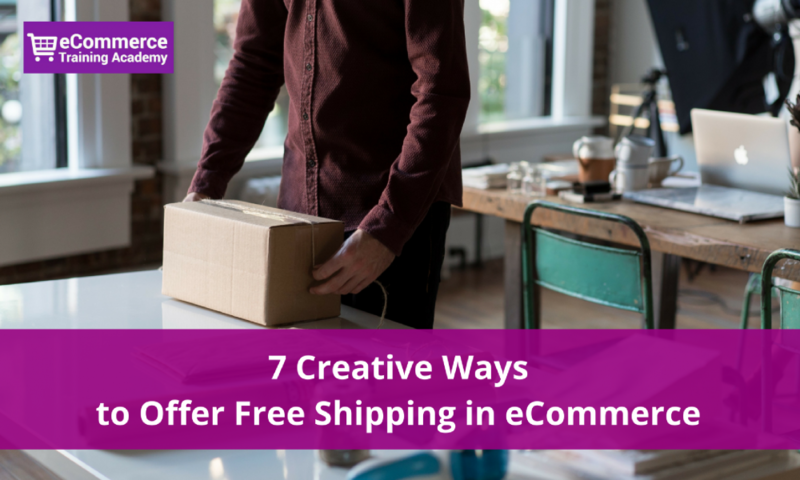 Keep in mind that if you’re unable to offer free shipping because the business can’t afford it, there are several other ways you can go about promoting free shipping without affecting your bottom line. The easiest way is to simply offer free shipping on all orders. Before doing so, you need calculate the impact it will have on your bottom line. It makes sense offering free shipping to items with high profit margins or relatively small dimensions or items that don’t weigh much. Instead of offering free shipping to everyone, you can target new customers only. You can do this by creating a one-time use coupon for new accounts within your online store. It’s a great incentive for potential shoppers who’ve never shopped from you before. I personally like limiting the time people can get free shipping on everything. It pushes them to take action by purchasing items they’ve been thinking about buying. You can run a free shipping promotion once a month during a weekend or weekdays. Remember to announce the marketing campaign by email. Here are some free shipping subject lines you can use. If you’re worried that you will lose money on free shipping, why not limit it to certain countries or states where you have access to competitive shipping rates. That’s another favourite of mine. Offer free shipping when shoppers buy more than $X. This will help increase average order values and potentially boost profits within certain product categories. What I like about this offer is that you can have it running throughout the month. You can then leverage free shipping on all orders only during a specific weekend. If you want to minimize the negative impact free shipping might have on your overall profits, consider limiting it to only select items within your online store. For example, you can exclude all oversized products such as furniture. This type of free shipping will help boost the average number of items per order. When shoppers add 1 item to their cart, prompt them with a message saying “Add one more item to be eligible for free shipping.” It’s a great alternative to order value. I hope by now, I’ve given you enough ideas on how you can go about offering free shipping within your online store without having it apply on all orders. Another great way to leverage a free shipping offer is by combining it with other major holidays throughout the year. Here’s a my 2017 Holiday Marketing Calendar for eCommerce. Do you currently offer free shipping? Comment below by telling sharing with us what has worked for you. Yes I offer free shipping for orders over 50$ to Canada and the United States. We also offer free shipping for certain items on our website. But the free shipping idea once a month is an idea to be considered. I’m glad you found it useful. It’s all about testing and seeing what customers engage with most. Good luck! I found FREE SHIPPING to be something that automaticlaly converted into sales, the problem was – when we calculated it afterwards (because we were dumb) sometimes we realized we lost money doing it. Lesson learned, always figure out BEFORE what you’re doing and what you want.